At Academy of Learning Career College (AOLCC), our adult learners come from all walks of life. Each brings a variety of life experience, talents, and backgrounds and we couldn’t be any prouder of all their accomplishments! Originally from Ontario, Margaret moved to Alberta after getting her B.A. in Sociology. She discovered she had a passion for accounting, took some courses and worked in Administration positions, tech support call centers, and various financial jobs. Margaret’s son is a special needs child and her greatest accomplishment in life. When he was born, Margaret was ready to drop everything and become a stay-at-home mom to provide the care that he needed. She never regretted a moment of spending time with her son. In 2017 (more than 10 years later), Margaret was ready to return to the workforce. She set her eyes on her former passion: accounting. However, because she was out of the job market for so long, Margaret knew right away that she needed to upgrade her skillset and get training on the latest software. 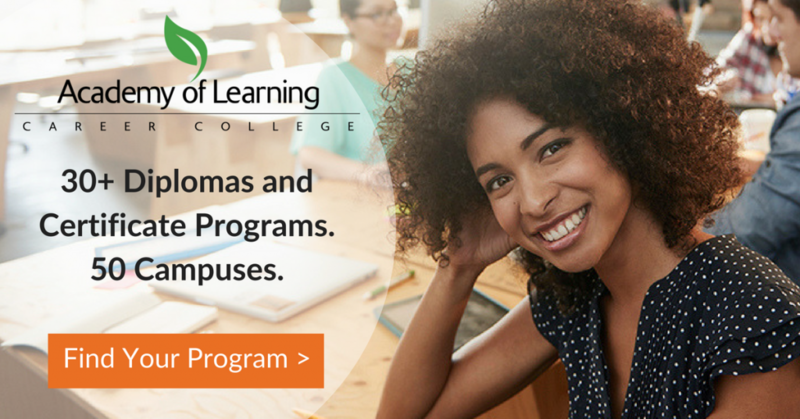 She courageously took the first step in jumpstarting her career when she enrolled in the Computerized Accounting Diploma at Academy of Learning Career College – Edmonton South. Learning how to use the computerized programs, Sage and Quickbooks, has been the most valuable in preparing her for her new future in accounting. For Margaret, the most challenging part of going back to school was balancing the needs of her family and the demand of her program. Her son was going through rough times, so she often felt pulled in two directions. Margaret tells us there were many times she sat in staff member Tracy Bunda’s office in tears, but is thankful that Tracy always had time for her and helped her get back on track. Margaret will be graduating a little later than planned, but for the best reason possible… She accepted a job offer and began working in an accounting department before she even graduated. Thanks for the inspiration, Margaret!